Looking for gifts? Why not consider the finely crafted Islands of San Francisco poster? If neighborhoods were islands, and streets canals. Zazzle link and backstory). Note: for Zazzle orders, enter coupon code FASTSHIPSALE for 50% off 2-day and express shipping. And I just saw ZAZZLEMAIL92 over at retailmenot.com that is supposed to get you 10% off orders over $20, but don’t know if that works or not. 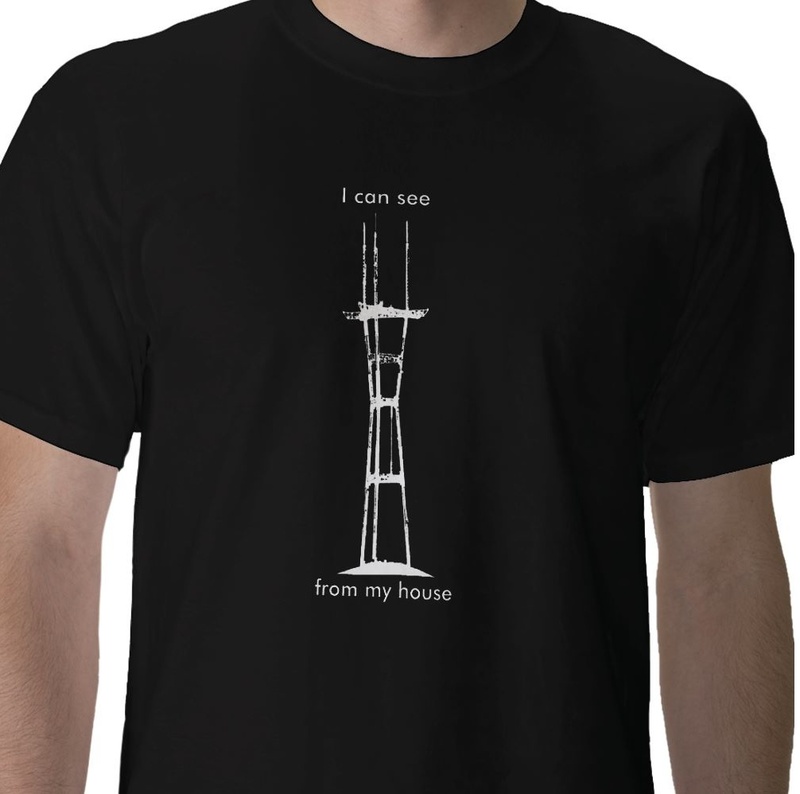 Colors and text are editable when you pick a shirt — there’s a black and white Sutro stencil for light and dark shirts. Anyway, that’s just a start, but you’d better get cracking or you will be running around in an absolute panic like me in about two days. just what we need. another boom box for people to use in public without regard to others. what a piece of crap.